Here you have the opportunity to take a look in our current studio in Marktsteft. Incidentally, we are there for you from Mondays – Fridays 10 am – 6 pm and Saturdays from 10 am – 3 pm! Andy Engel in the unique 360 ​​° video at work! Enjoy this unique experience and take a look around in the new studio of Andy Engel. 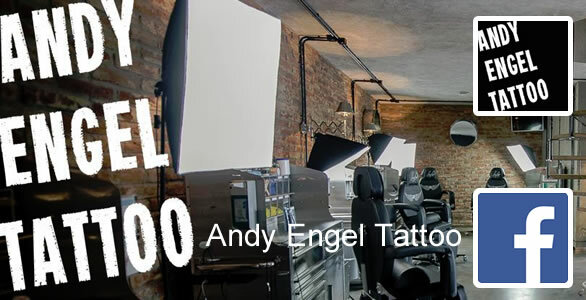 Opened in September 2015, the studio “Andy Engel Tattoo” in beautiful Marktsteft, charms customers and visitors by its size and the unique mix of rock and modern. Here you have the opportunity to see Andy Engel at work over his shoulder.